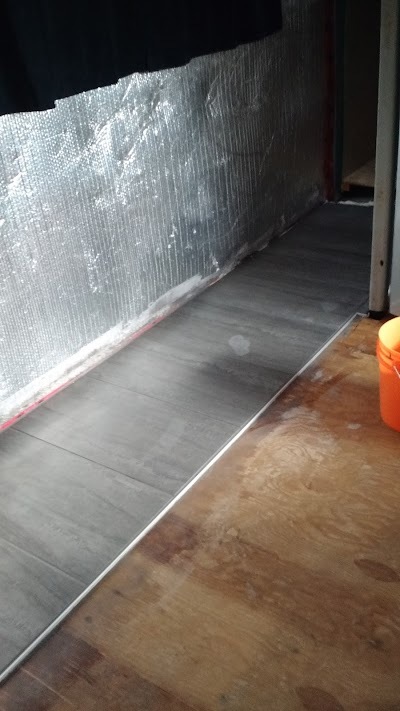 So we decided to tile the floor near the main entrance of our boat on the inside. There were 2 main reasons for this. 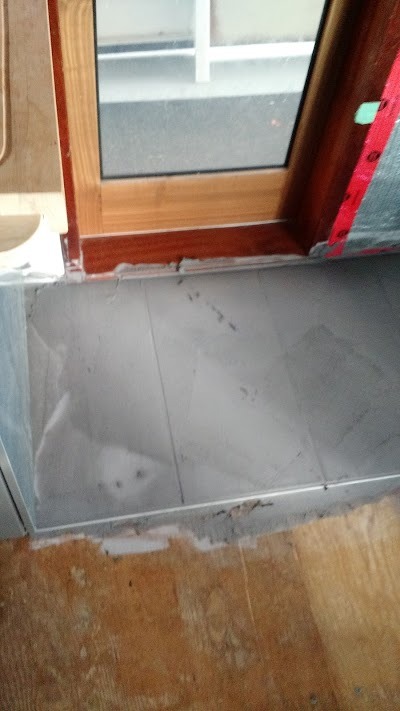 To not damage the plywood anymore with salt and winter boots etc. The first part is just as a matter of preventative maintenance which is good. The second is to get ready for the shower which’ll be this summer’s project. So let’s get to the pictures. So what’s going on. 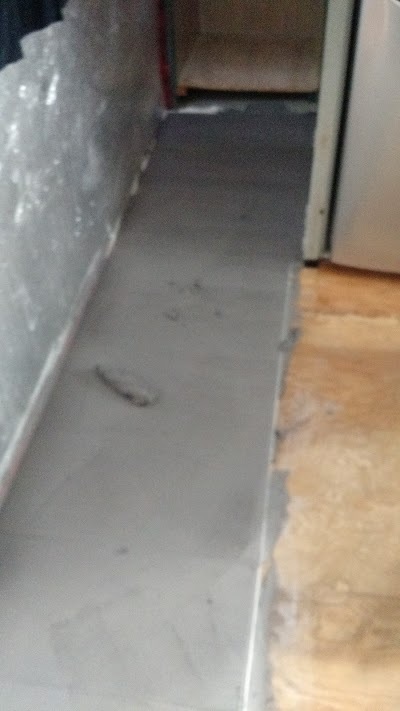 Well that small strip of tiling goes under the stairs. So that’s where we put our water hoses and our boots. So during winter everything will be easier to clean and what not. The job… was messy. The manual tile cutting tool was… well useless… The saw on the other hand worked pretty well. 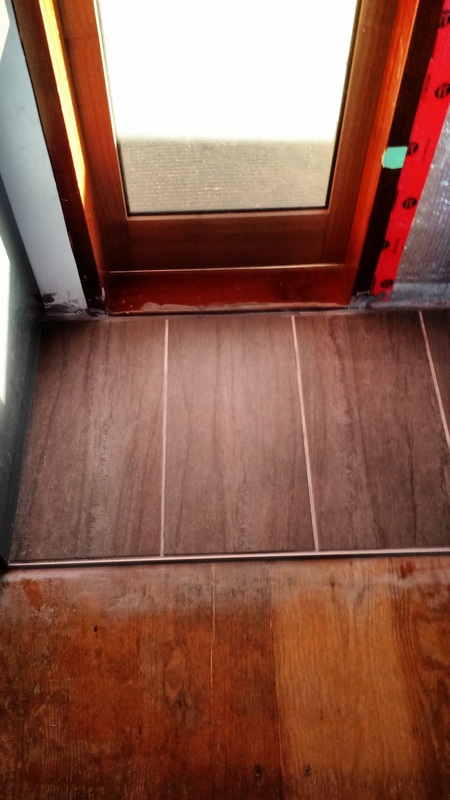 The nice thing was that the width of the entrance was for the most part exactly 1 tile. 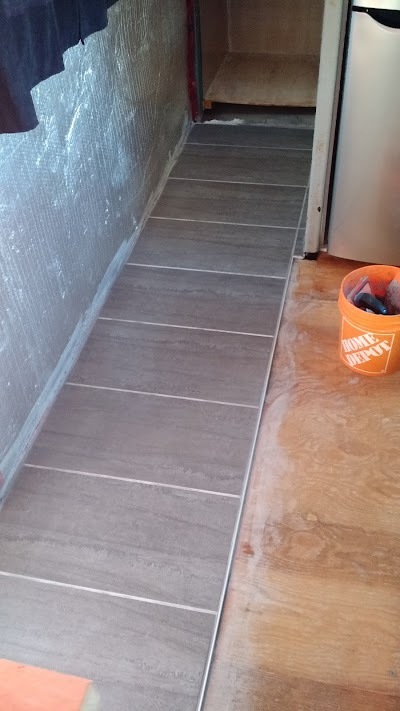 We had to cut some tile though towards the bow by the fridge but that was it. Again this gave me knowledge on how to tile so when I go for the bigger bathroom job it’ll be easier. So yay! But… it’s an awfully messy job. Especially the cleaning part. But it looks great! So yay! Another job done!